Atlanta rapper Chingy was one of the hottest rappers of his era, when he first came out with his bangers like ‘Right Thurr’, ‘One Call Away’, ‘Pullin Me Back’ and ‘Holidae In’ to name a few. 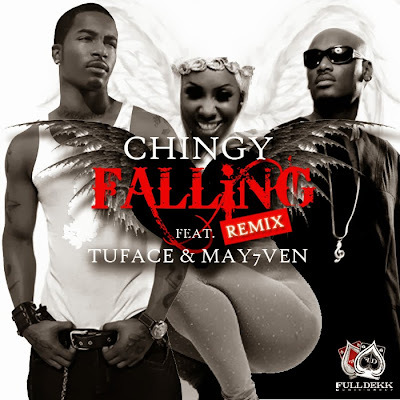 Returning to the music landscape in 2013, Chingy is back with a brand new single, the remix to his song ‘Falling’ featuring Afrobeat artist - veteran, 2Face Ibidia, and UK based Afrobeat artist May7ven. Despite the fact that Chingy has not been on the scene for a while, I'd expect for his return to be a glorious one - but instead he fell off with this track... Literally! (Pun intended). ‘Falling’ was produced by Triple O Productions and is to be released on iTunes and all other digital stores shortly. 2013 will see the release of Chingy's EP ‘Chingology’ and he'll embark on both a UK- wide and Nigerian tour in November.